“The fact that the director allowed me to breathe and thought me worthy to take up space, it’s such a simple, subtle thing, but it was startling to me,” says Elyse Dinh who plays Mrs. Phan. June Thomas looks at how sexual harassment is depicted on television. So, what is the problem with Apu? Comedian Hari Kondabolu explains that his new documentary "The Problem with Apu" is not just about a cartoon. Paula Williams Madison wasn’t on a panel, but she brought a different take on race to the audience at Asian American ComicCon. The Trump phenomenon was built, in large part, by television. Michael Schneider tells us how the former star of "The Apprentice" is shaking up Hollywood — and creating some unexpected winners. “Veep” showrunner David Mandel explains five TV-writing terms you may not have heard before. The TV show has been criticized for stereotyping Muslims as terrorists. But in season six, the show is striving for a much more nuanced portrayal. Native Americans don’t have their own TV channel. A Canadian network wants to change that. Canada's Aboriginal Peoples Television Network has more than 100 original shows produced almost entirely by indigenous Canadians — from dramas and documentaries to investigative news and a cooking show. 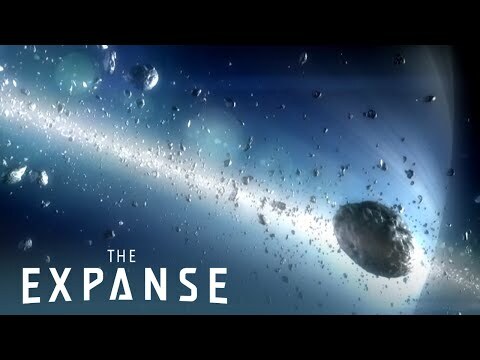 The SyFy show about colonizing space is based on a book series by the same name — and both are firmly rooted in science. Anchor Marco Werman reports on Egyptian journalist Shahira Amin, who resigned from her job at Nile TV, the Egyptian state television channel. Shahira says she could no longer work there because she'd been forced to keep some facts from the public. The World's Alex Gallafent tells us about a new kids TV show in Britain called Rastamouse. It's wildly popular, but it's also been criticized for racial stereotyping. So will Rastamouse follow Thomas the Tank Engine and Angelina Ballerina onto US screens? The World's Alex Gallafent reports on Al Jazeera's impact on events in Libya. The TV network's Arabic language news coverage is watched via satellite by many Libyans hungry for something other than the official coverage on Libya's state-run broadcasters. Faith talks to actor-comedian and Curb Your Enthusiasm regular JB Smoove. Jeff Curtin performs a song written for Michael Emerson. Faith talks to actor Michael Emerson about his role as the super-villain Ben Linus in the hit ABC television show Lost. A look at how some of the Smurfs are celebrating their 50th birthdays. Wall Street Journal writer Rebecca Dana talks about the identity crisis facing Fox's hit television show "24," given the recent debate about torture in Washington.